The Global Poker Index (GPI) announce the short list for the 13th annual European Poker Awards, set to take place in conjunction with the European Poker Tour (EPT) stop in Deauville, France. You can’t call in the New Year without putting a stamp on the old, and what better way to consign past memories into the record books than a good old-fashioned awards ceremony. The 13th annual European Poker awards will once again be hosted by the GPI, and this time they are partnered by Poker 52 Europa. The event will be held in the ‘Salle des Ambassadeurs” at the Casino Deauville during the EPT on 29th January, and it’s expected to attract a much bigger audience than the 200 people that squeezed into the Aviation Club de France (ACF) in 2012. 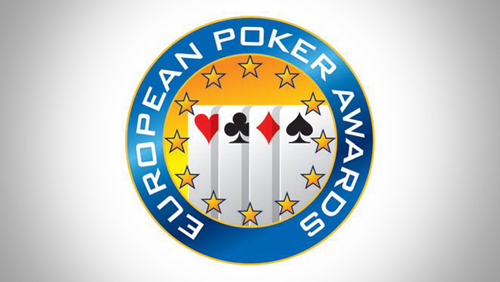 PokerStars and Lucien Barriere Hotels et Casinos sponsor the GPI European Poker Awards, and it shows, as the short lists for a number of awards are very top heavy with PokerStars associations. So who is going to leave Deauville with a new trophy? In the Rookie of the Year category I don’t believe you can look much further than Matthew Ashton. His performance at the World Series of Poker (WSOP) where he made four final tables, won the $50k Poker Players Championship and earned $2m in cashes means he is an absolute shoe-in for me. When it comes to Best Tournament Performance I am going to let nostalgia rule and plump for Barny Boatman’s amazing bracelet winning performance at this summers WSOP. Not only does he deserve plaudits for his actions on the felt, but also his run created what many people are talking about as the best rail the WSOP had ever seen. For the Internet Player of the Year award I think special mention has to go to Chris Moorman. To earn $10m in online tournaments is a mind-boggling achievement, and he is so far ahead of his nearest rival it’s untrue. Moorman for the win in this one. For the Poker Industry Person of the Year I believe the award should go to Alex Dreyfus, as his efforts to promote the game covers every event in the world. His view is an holistic one whereas the other candidates have their focus very much on the Red Spade. I don’t like the Best Event of the Year award and think the category should be abolished. I mean, come on, were really expecting to have a PokerStars sponsored event, held in conjunction with the EPT Deauville, giving out a prize to Prosper Masquellier for his outstanding work at the International Stadiums Poker Tour (ISTP) at Wembley?